A leading waste management company has congratulated one of its team for helping to keep its tanker drivers on the right track for 20 years. 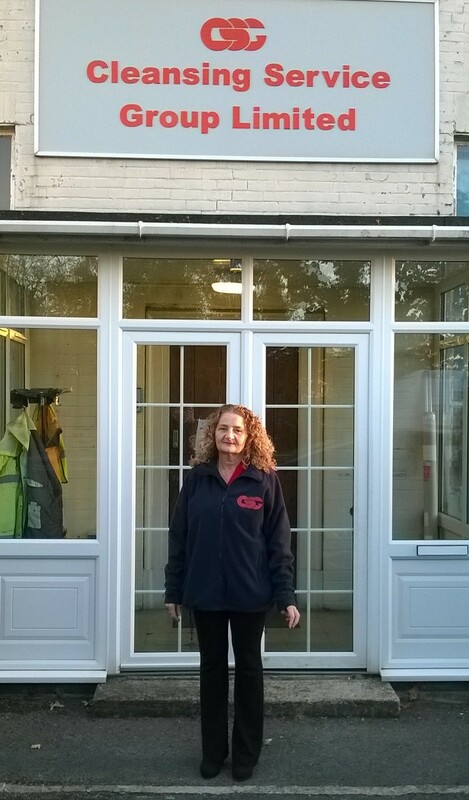 Transport co-ordinator Margaret Heys was thrilled to be recognised by CSG for her contribution to the smooth running of the domestic waste collection service. Margaret, who is based at the company’s Botley headquarters, manages the scheduling of eight sewage collection tankers covering the Bournemouth area. The mother of two grown-up daughters started in the admin team at Botley, but working closely with the transport supervisor enabled her to pick up the knowledge needed to take on a transport co-ordinator role. “We supported four depots – Botley, Bournemouth, Newbury and Chichester – and working in the same office meant that I got to know the drivers and routes, so when the opportunity came up to progress to transport co-ordinator I already had some experience of the day-to-day role. Regional business manager Hayley Northway added: “At CSG we like to encourage colleagues to progress into new roles, keeping their skills and experience within the company, supporting our customers and helping the whole business to grow.